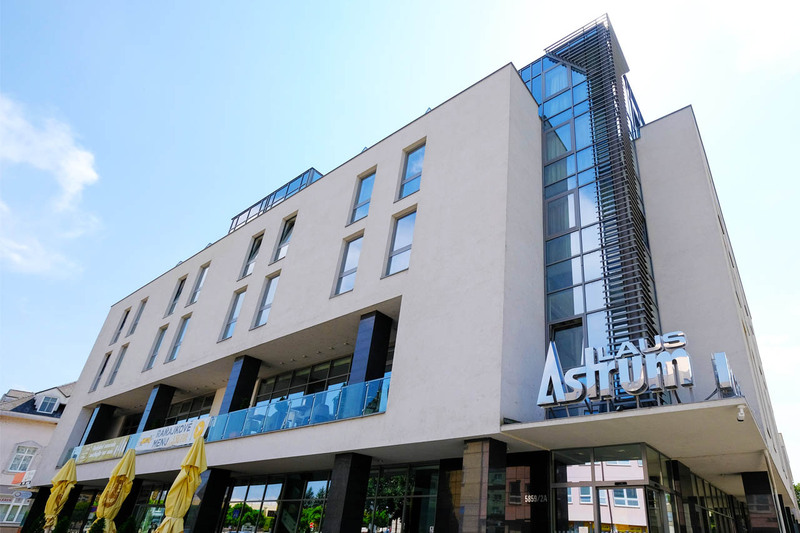 The ASTRUM Laus**** business hotel was opened to the general public in October 2010 right in the centre of the town of Levice. It results in a combination of seriousness and luxury with a true playfulness of colours and unusual forms. The modern interior designed in an ingenious way combines metal and glass with natural materials such as wood and stone. Together with light effects, it creates a pleasant and serious business style atmosphere.